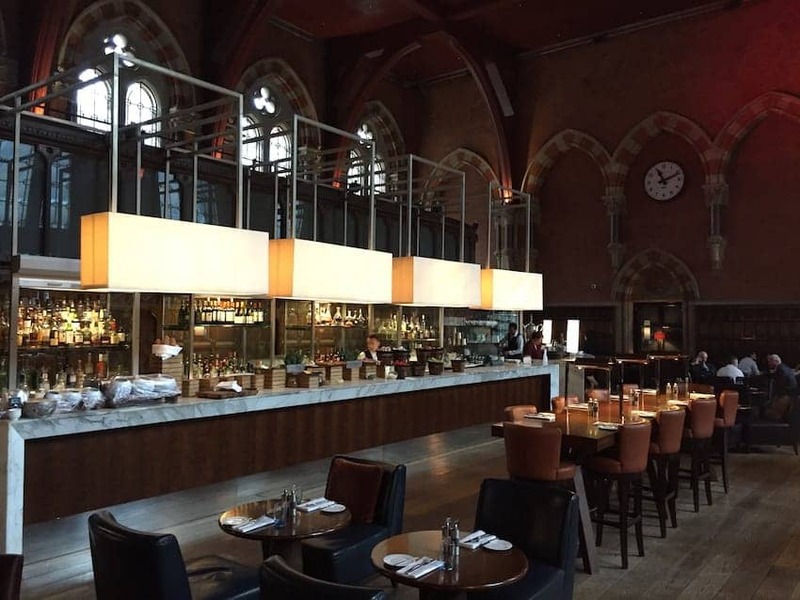 Originally the ticket hall of St Pancras station, the Booking Office Bar & Restaurant now occupies the space inside the red brick walls and arches. It is an impressive space with panelling and iron buttresses, lofty roof and 95ft (29m) long bar. Victorian heritage is prevalent in both the decor and on the menus. All-day dining right through to evening drinks are on offer including Victorian punch and champagne. An atmospheric place to wait for your train.